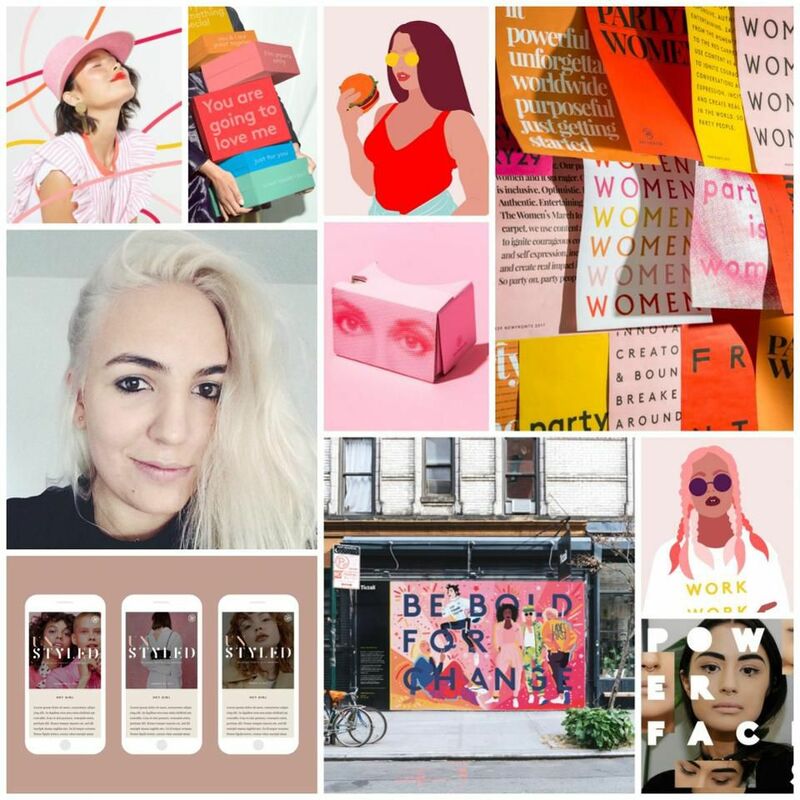 As Art Director at Refinery29, Isabel Castillo Guijarro is the visual brilliance behind a brand driving conversation among millennials on up. Isabel works mostly on Branded Content — all the digital, print, social and experiential content produced for clients. As well as design editorial features, illustration, events, company culture, web and UX initiatives. Additionally, Isabel actively collaborates with the Photo Department in art directing in-house merchandise shots and bringing in new talent to R29 via outsourced illustrators. Isabel also oversees the hiring, interviewing, and training of interns. We learned of Isabel after seeing her killer installation at Tictail — the retail space deftly (and stylishly) integrating artisans into each of their concept-driven shops, and beckoning locals and passerby alike with collaborative murals from some of today’s most breakout artists. Topping Castillo Guijarro’s list of perception-shifting moments? A move to Abu Dhabi senior year of high school that she says, “greatly impacted all the decisions I’ve made since then.” It was here that Castillo Guijarro first took a formal art class, exploring the world of ad-making at the American University of Dubai. After further studies in typography, at Central Saint Martins, and graduating with a BFA in Communication from Parsons School of Design a previously uncertain path was solidified. Tell me more about Isabel Castillo Guijarro.